This thursday 14 sept, Rebel Up helps curating the Nuits Sonores opening night @ the great BRASS venue in Forest, with an electro-Arab lineup with artists from Egypt, Iraq, Morocco/Belgium and sounds from Somalia! Islam Chipsy and his band EEK are a three-way force of nature from Cairo, Egypt described by those who’ve been caught in the eye of their storm as one of the most exciting live propositions on the planet. At the core of the group lies electro chaabi keyboard pioneer Islam Chipsy, whose joyous, freewheeling sonic blitz warps the standard oriental scale system into otherworldly shapes, as flanked by Mohamed Karam and Mahmoud Refat raining down a percussive maelstrom behind dual drum kits. His 2 releases on Nashazphone /100 Copies Music say it all, bombastic body music! Arkan Mushtak arrived in Belgium as a refugee of the war in Iraq. During his Baghdad childhood he has been shaped into a talented keyboard/piano player and composer by master composer Noor Sabah. He is accompanied by fellow Iraqi musicians Walaa Saad (vocals and oud lute) and Saif Al-Qaissy (darbouka percussion and backing vocals). Together they play a mix of contemporary Iraqi music styles, such as chobi chobi, dabke and electronic hybrids. The trio will release an album on the new Rebel Up Records label in late 2017. Sufi singer YZ grew up in the Flemish suburbs and developed his vision of ancient Arab art by pouring over a thick layer of electronics. This epic synthesis comes close to the perfect soundtrack of a retro-futuristic road movie in the desert. Nicolas Sheikholeslami & Vik Sohonie of Berlin label Ostinato Records dive in their East African archives to familiarize us with the flourishing period of Somali music. 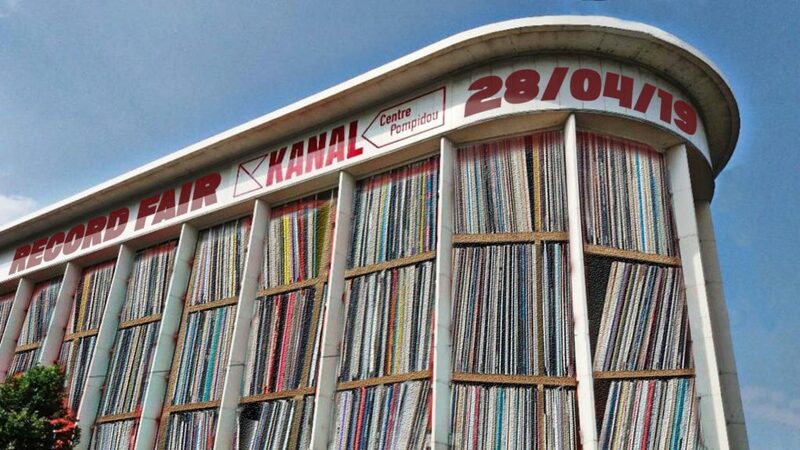 A sharper selection of rarities of old, from afro funk to unstoppable groove, from jazz to Somali disco, songs that reflect the international character of the Horn of Africa and take you from the hotel Curuuba in Mogadishu to the dirty streets of Hargeisa to the banks of the Gulf of Tadjoura to Djibouti. The revelation of the Belgian global bass scene Jabo (Jawad Boumalek) grew up in Aalst. As a member of the Brussels collective / label Lowup Records, he spent hours in the studio creating his remarkable sound, a return to the roots where the influence of Moroccan and Arabic music fuses with the sound of contemporary bass, resulting in traditional rhythms with a strong dose of electro-harissa spice. The work of Jabo was highly welcomed by big names of electronic music, such as A-Trak, Diplo and Dj Snake. You know what to expect from Rebel Up by now > a fired up dancefloor set of pan-Arabic beats & spheres. Also see the interview / video with Rebel Up SebCat. Hear latest Rebel Up Nightshop radio show, with a special on the Nuits Sonores @ Brass night.